Looking for a way to bunny hop expensive advertising campaigns? Look no further! Catch some air when you promote your next cycling event with Bike For Cause Flyers. 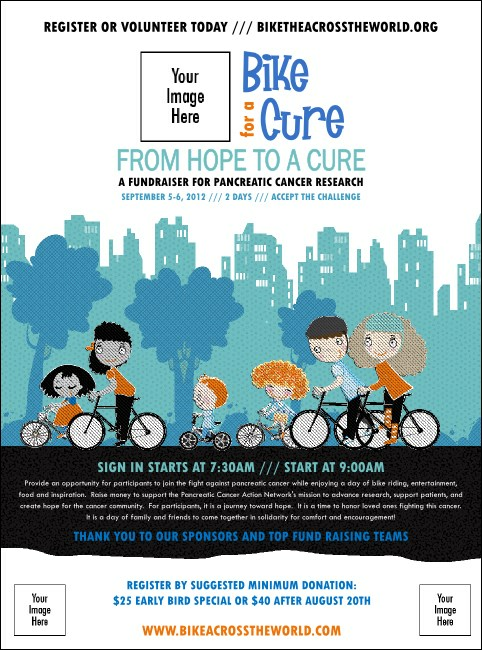 Each Flyer features a cityscape outlined in brilliant blue with happy riders of all ages making their way to the finish line. You can even upload three of your own images to the template. Force the pace with Event Kits from TicketPrinting.com.